Around four months postpartum, I was reading through one of those “things no one told you about having a baby” posts and was nodding in agreement. YES, I thought I’d be back in my pre-pregnancy jeans by now, because that’s what happens when you’re not full of baby, right? Well, apparently when you have a baby (or two), sometimes your body just. doesn’t. go. back. I know some do, but even as I (FINALLY HALLELUJAH!) lose weight, some things seem really content to stay where they are for a while longer. And now that I’m for real working out and eating well, I’m okay with that, as long as my wider body is in good, healthy shape. But meanwhile, I need something in my closet besides pre-pregnancy clothes, nursing tops and Target t-shirts. And if you’re finding yourself in a “new normal” body, at least for now, you do too! 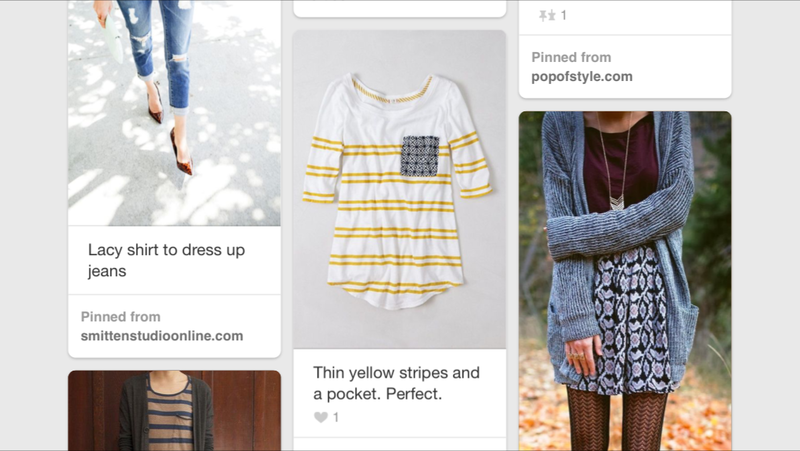 My first step was to pull up my Pinterest wardrobe inspiration board and figure out what my go-to style should be. 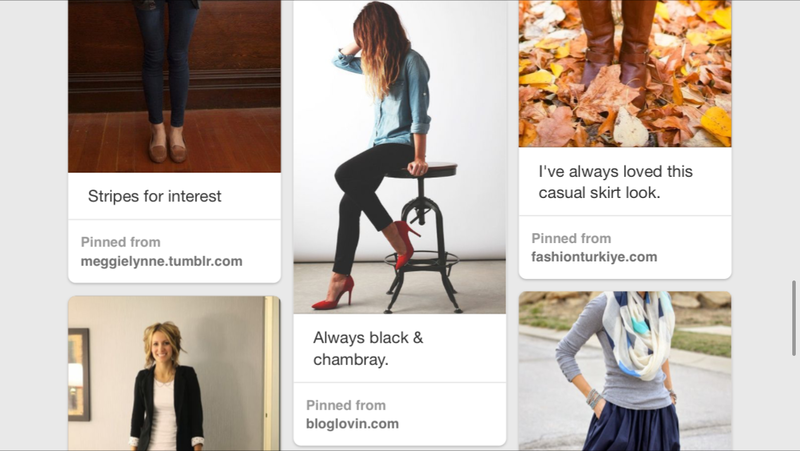 I pulled pins of attractive but wearable styles to a new board, which I labeled “Mom Style.” No pencil skirts and sheath dresses here, and no yoga pants either; just inspiration for a wardrobe I can feel put together in, at home or out. My style happens to be classic mixed with some boho romance. If Ann Taylor and Anthropologie had a clothing store baby, it would be called Michal’s Dream Wardrobe. Happily, Ann Taylor Loft is having a sale on sale clothes right now, so I found five shirts that stick to my new wardrobe goals. I chose shirts that drape nicely to show a figure, but skim over my current love handles.I can even wear a few of them on a date, tucked into a skirt. If you’re trying to build a new wardrobe, I strong suggest making an inspirational Pinterest board and sticking close to it when you buy. That way, your closet is full of wearable clothes you’ll like next week when the thrill of a clearance deal wears off.